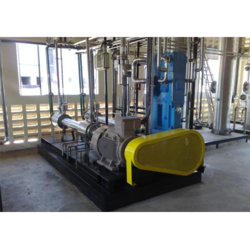 Leading Manufacturer and Exporter of CO2 Recovery Plant such as CO2 Recovery Plant Distillery Based, Carbon Dioxide Recovery Plant and CO2 Recovery Plant Brewery Based from Vadodara. Bio Gas can be generated from various sources. The material should not contain metal, sand, mitti, stone and polythene etc. H2S must be removed to use the gas chemically. Many people use the gas as it is in the power generation or for cooking. H2S is removed with the help of scrubbing media placed inside a scrubber. Generally, the biogas contains 65 - 70% CH4 35 -45% C02, 0.1 - 0.5% H2S and traces of Hydrogen and ammonia. We have the technology to remove H2S and C02, get pure 98% CH4. We are offering a broad array of CO2 Recovery Plant Distillery Based. The offered plant is manufactured by using fine quality raw material and employing sophisticated technology in accordance with the set industry norms. Further, this range is checked on varied parameters to ensure its flawlessness. Available in various standards specifications, this product can also be customised on special demands of our clients. 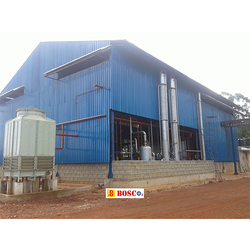 We are offering CO2 Recovery Plant Distillery Based, which is used to supply fresh water and boiler feed water. These are designed in conformation to the industry standards and are available in various capacities and sizes as per the clients’ specific requirements. Our range caters to the requirements of various applications such as gas dryers, refrigeration units and cylinders filling system. Backed by our well-developed infrastructural facility, we are introducing a comprehensive assortment of Carbon Dioxide Recovery Plant. The product offered by us is fabricated using quality approved factor inputs and innovative techniques in compliance with the international standards. Further, we are providing this range in various standards and customization options as per the preferences laid by our clients. Also, to ensure its safe delivery at clients' end, it is packed with high-quality packaging material. Our range of Carbon Dioxide Recovery Plant Bio Gas Based is manufactured using quality raw material and advanced technology ensuring durability and dimensional accuracy. Our range operates at ambient conditions with no external heating required to prevent hydrate formation. 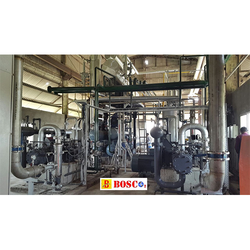 Looking for CO2 Recovery Plant ?